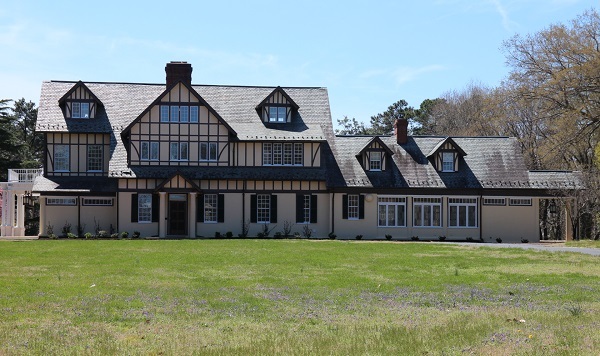 Windemere, the 10,000-square-foot home at 5501 Cary Street Road, was listed last week as a “coming soon” property, with showings scheduled to start April 16. 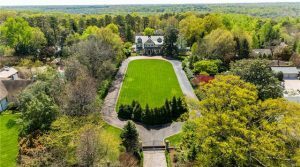 The asking price for the 3-acre estate, across the street from Libbie Avenue near the Country Club of Virginia, is just over $3.42 million. Mahood Fonville with Shaheen, Ruth, Martin & Fonville Real Estate has the listing, which comes 14 months after the property – a 19th-century former hunting lodge that once served for a time as a substitute governor’s mansion – was sold in a foreclosure auction on the steps of the city courthouse. Originally a hunting lodge, Windemere was later converted into a mansion. 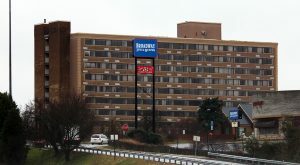 It also follows a year in which Windemere’s previous owner, local businessman Douglas Cornell Jr., tried to reclaim ownership of the property and continued for a time to reside there and make improvements to it, according to documents filed in a lawsuit brought against Cornell and other parties last year. 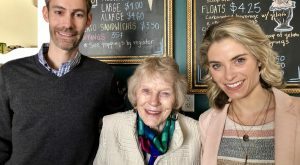 Not counting last year’s auction, the property last sold in 2016 for $3.99 million, in an all-cash deal that put the Tudor-style home under contract before it was listed publicly. The buyer at that time was an LLC attached to Cornell, managing partner of IT firm Integris Solutions Group, and Jana Suyes. The couple closed on the house later that year with a final purchase price of $3.5 million. By January 2018, the property was headed for foreclosure, with an initial auction related to a $260,000 note scheduled that month but never held. A separate auction related to the principal on the original deed – $2.8 million at the time – went ahead as scheduled the following month, prompted by a default on repayment of that principal. 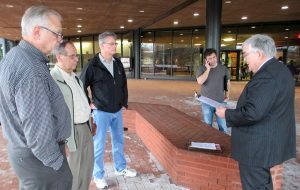 W. Harold Talley I LLC, the noteholder on the deed, reclaimed the property with a credit bid of just over $2.87 million. Michael Hamway, who placed the bid on behalf of the LLC alongside manager David Talley, said at the time that they planned to list Windemere for sale. Following the auction, however, Cornell made efforts to reclaim ownership of Windemere and continued to reside there for a time, according to the lawsuit filed last year by 333 Investments LLC, an entity tied to Nuno Valentine, co-founder of local health care startup Iggbo, now known as Workpath. According to the suit, 333 loaned Cornell $187,000 last March to help him retain his investment in Windemere, which by then had been sold in the auction, though the transaction would not be recorded with the city until May. The loan was provided through an arrangement in which, the suit alleges, if Cornell failed to pay 333 according to the terms of an agreement, an LLC created for Cornell to retake ownership of Windemere from Talley I LLC would instead go to 333, meaning 333 then would take ownership of the property. The suit argues that the $187,000 was transferred without Cornell abiding by the terms of the agreement, and that the LLC for ownership of Windemere therefore should have gone to 333. 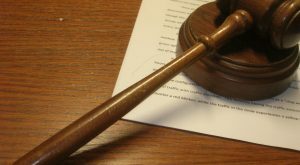 The suit alleges nine counts, including fraud, common law and statutory conspiracies, negligence, tortious interference and breach of contract. It seeks $3 million in compensatory damages and $350,000 in punitive damages. 333 is represented by Thomas Roberts and Jonathan Arthur of downtown law firm Thomas H. Roberts & Associates. 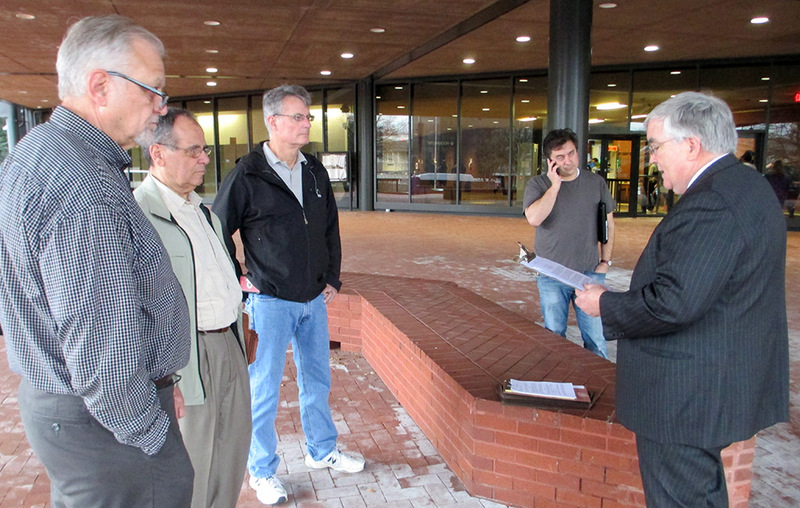 Cornell, Talley I LLC and other defendants in the case, including local attorney John Russell, deny the allegations and call for the suit to be dismissed or a judgment in their favor. Cornell is represented in the case by Mark Schmidt, a Newport News-based attorney with local law firm Ayers & Stolte. Christopher Malone and John O’Herron of ThompsonMcMullan are representing Talley I LLC, and Dennis Quinn of Carr Maloney is representing Russell. Attempts to reach Cornell for comment have been unsuccessful. Hamway and Talley, of Talley I LLC, declined comment Monday. While the lawsuit plays out, Fonville, the listing agent, said he’s received interest from prospective buyers since listing Windemere last Tuesday. 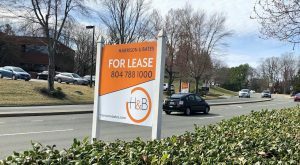 He said he took the “coming soon” approach because the sellers are still prepping the property and didn’t want to miss out on the spring homebuying market. Originally a hunting lodge built in the 1880s that was converted into a three-story mansion in 1907, Windemere served as the home for then-Gov. Jim Gilmore for 18 months while the Executive Mansion was being renovated two decades ago. 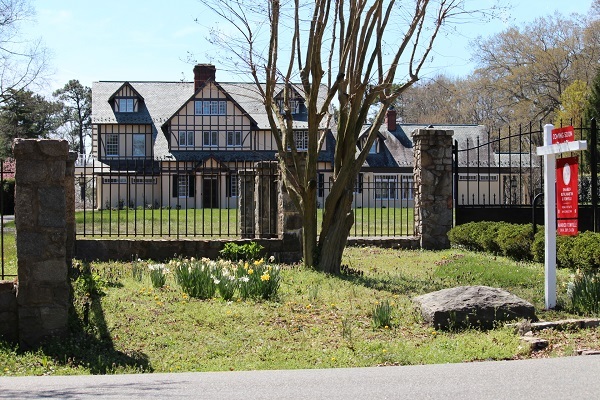 Before Cornell’s ownership, the estate was the home of Betty G. Brown, the former wife of the head of Brown Distributing, Larry Brown. It had been listed for sale and delisted multiple times since Betty Brown bought it back in an auction in 2011 for $2.5 million. That auction followed the Browns’ divorce that resulted in a property dispute that went all the way to the Virginia Supreme Court. 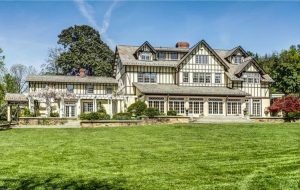 Totaling seven bedrooms, eight full bathrooms and two half-baths, the house features Tudorbethan architecture and includes a sunroom, center hall, music room and multiple fireplaces. Renovations added a basement with sauna, wine cellar and game room. The property is known for having one of the first swimming pools in Richmond and includes gardens designed by landscape architect Charles Gillette, a separate two-story living quarters off the kitchen and a six-car garage accessible from the basement. A city assessment most recently valued the property at $3.48 million. Fonville said he expects the property’s size, design and setback from the street to appeal to buyers. 1 Comment on "Windemere mansion returns to market for $3.4M"